Intelligent Fingerprinting has secured access to a multi-billion dollar global market for its revolutionary handheld drug-testing device, with the award of its first US patent. The patent protects the company’s innovative technique for detecting substances within fingerprint sweat deposits and the technology is built into its new drug-screening device. The device – the first of its kind in the world – analyses the tiny amounts of sweat contained in a fingerprint to detect specific chemicals known as ‘drug metabolites’, which, if present, would indicate drug use. 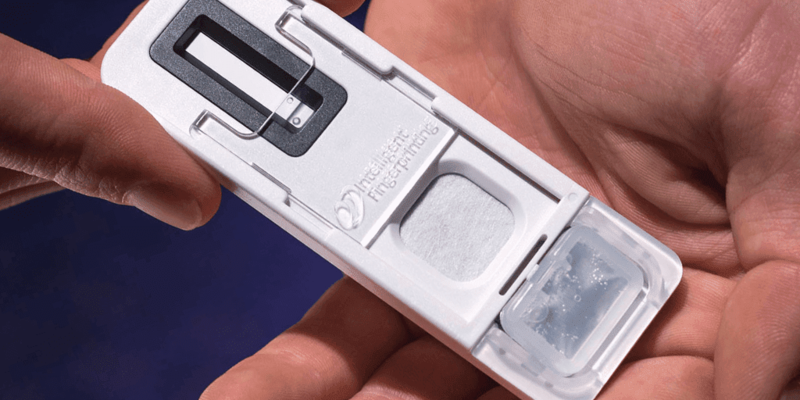 The device screens for multiple drugs-of-abuse from a single fingerprint sample and provides results in ten minutes. It is totally non-invasive and safe to use, with no need for the specialist collection arrangements required for conventional drug testing methods involving blood, urine or saliva. The US accounts for more than 50% of the global drug testing market. The device will be sold there through distribution partners Smart Start Inc., with revenues beginning in 2014. 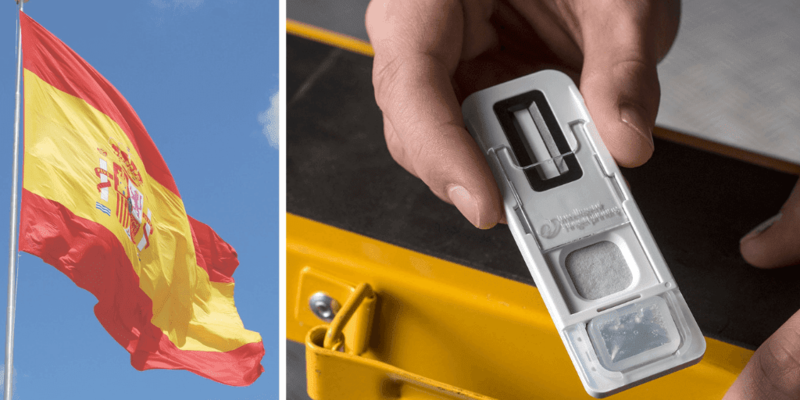 The company has already been granted patents in the same family for the EU and Australia, with further applications submitted across the globe. Intelligent Fingerprinting’s drug-screening technique is based on pioneering nanoparticle technology invented by the company’s co-founder and chief scientific officer, Professor David Russell of the University of East Anglia. To deliver its new product, the company has recruited a strong development team of specialist immunoassay scientists. Its leader is development director Dr Mark Hudson, an experienced immunological detection reagent specialist with a strong background in developing point-of-care diagnostic devices. 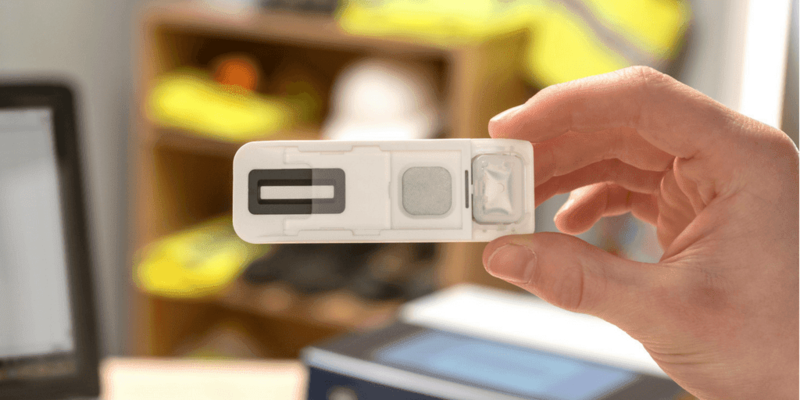 Intelligent Fingerprinting is currently working towards achieving ISO13485 (medical device) accreditation and pilot production of the handheld drug-screening device is set to begin at end of the year. In 2012, the Norwich company, a spinout from the University of East Anglia, raised £2m in funding from a consortium of private US-based investors. There has been worldwide interest in its technology for a wide range of applications, from workplace testing to criminal justice, drug rehabilitation, offender management and use in the prison services.